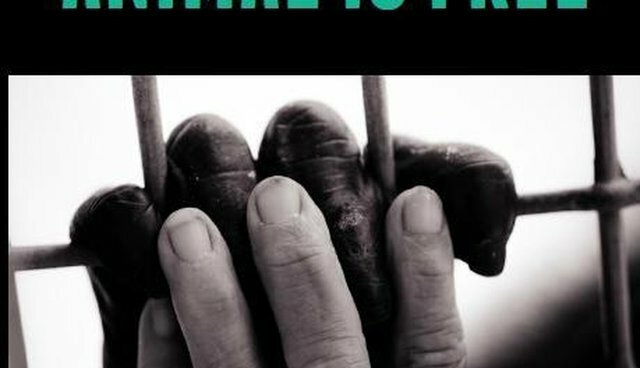 Author and social justice advocate Saryta Rodriguez's debut book, Until Every Animal is Free, will be officially released by Vegan Publishers Thursday, September 24, 2015. Below is an excerpt from Chapter Three: Lifting the Veil. Pre-order now via Vegan Publishers or Amazon! When speaking about veganism to those who are less engaged in the broader movement but have made or are considering making a personal commitment to vegan living, the focus tends to be dietary, but the food industry is only one of many industries that engage in animal exploitation. Fur, leather, wool, and a host of other garments are not nonhuman-friendly. By far the most widely accepted and least discussed form of nonhuman animal abuse in America, in my experience, is the entertainment industry. You know who couldn't care less about whether you eat meat or not? Circus animals. Rodeo animals. Animals who are raced, such as horses and dogs. Those who are trained to fight one another, such as dogs and chickens. Animals at zoos and amusement parks. These guys don't care what you're eating, and they have just as strong a desire to be liberated as those who end up on your dinner plate. Events such as circuses containing animal acts and rodeos have been celebrated and highly attended in this country for...well, forever. To the best of my knowledge, neither the use of animals in circuses nor the existence of rodeos has ever been illegal in the United States. While agricultural legislation is an increasingly hot-button issue, and more Americans go vegetarian or vegan every day, the matter of whether or not it is ethical to use animals for sport remains decidedly off the table. There have so far only been minor, single-issue allusions to the problem, such as the ban on elephants in circuses (but not tigers or baboons or bears...), and New York City Mayor Bill de Blasio's commitment to ending the use of horse-drawn carriages in Manhattan. The animals are having FUN! They LIKE performing! The animals aren't being hurt. Their trainers love them and are kind to them. Since most small children cannot think critically enough yet to ask, parents don't even bother to explain where the animals came from-that they were stolen, ripped from their prides, their herds, their parents and children. Their silence leaves the impression that the animals joined the circus willingly-that they chose show business, just as human actors and actresses do. No parent enjoys lying to his or her children, but any parent will tell you that there are some occasions on which this becomes necessary. Is it really necessary to lie to children about circus animals? What purpose does that serve? It simply allows the child to enjoy the show-and, by extension, the parent as well. Would it really be so awful if a child turned to his or her parent and said, "I don't like this. These animals don't belong here. I want to go home?" Since most small children cannot think critically enough yet to ask, parents don't even bother to explain where the animals came from-that they were stolen, ripped from their prides, their herds, their parents and children. Their silence leaves the impression that the animals joined the circus willingly-that they chose show business, just as human actors and actresses do. So parents will have spent some money they will never see again; that's all there is to be lost here. Again, as any parent will tell you (at least, as many parents have told me, being that I am not one myself), throwing money away is pretty much par for the course when raising kids. They whine and plead with you for months to buy them that-super-expensive-thing for their birthday, you do, they love it for a week, and then it lives in the closet or under the bed for all eternity. Ever see the movie Chicken Run? It's a great claymation film released in 2000 about chickens escaping a farm. The 2008 film Bolt, while illustrating humans eating chicken and burgers and other forms of meat throughout, focuses on the plight of a small canine actor who doesn't know he's an actor, and learns from friends he meets along his journey (particularly a cat named Mittens) how to just be a dog. In both films, humans are seen maliciously misleading animals and depriving them of their natural lives, attempting to convince them instead that a human industry (be it agriculture or entertainment) is the one and only place for them; and in both films, the moral of the story is that the humans are wrong. Movies like Chicken Run and Bolt encourage young children to have respect and compassion for animals; later, these same children are taught that in the "Real World," people eat animals all the time, and it's no big deal and nothing about which to get upset. We all love watching heartwarming family films in which people motivated by greed or hatred lose and those who stay true to themselves and demonstrate kindness win. We actively seek these movies for our children; then, at some indeterminable point, varying from family to family, we slowly start to un-teach them. We train them to turn their empathy switches off and attempt to normalize for them the imprisonment, murder, and consumption of creatures we once inspired them to regard as friends. Once upon a Forest (1993) is by far one of my favorite children's movies of all time. My mother rented it for me from the local public library when I was about six. It tells the story of the Furlings, a gaggle of woodland critters-a hedgehog, a raccoon, a mouse, and so forth-and their wise teacher, Cornelius the Badger. Humans-known to the critters as Shoemans due to their limited perspective from the ground of humans as large, rubber boots-are responsible for the release of poisoned gas into the forest. A driver throws a glass bottle out of his window, which breaks, causing the tires of his gas-filled truck to pop and ultimately overturning the truck. Michelle, Cornelius's granddaughter, inhales some of the leaking gas and becomes gravely ill. It falls to the Furlings to retrieve medicinal plants for her in a far-off region of the forest. Children naturally empathize with Michelle and the Furlings when watching this movie, and adults allow them to feel that way; we even encourage it. We herald this movie as a lesson not to throw bottles out of windows-i.e., not to engage in land pollution. We sit alongside our children and actively pity Bolt for the trick Hollywood has played on him. We root for the liberation of the "claymated" chickens in Chicken Run. Countries such as Bolivia, Cyprus, Bosnia, and Greece outlawed the use of all nonhuman animals in circuses prior to 2014; the US has yet to do so.